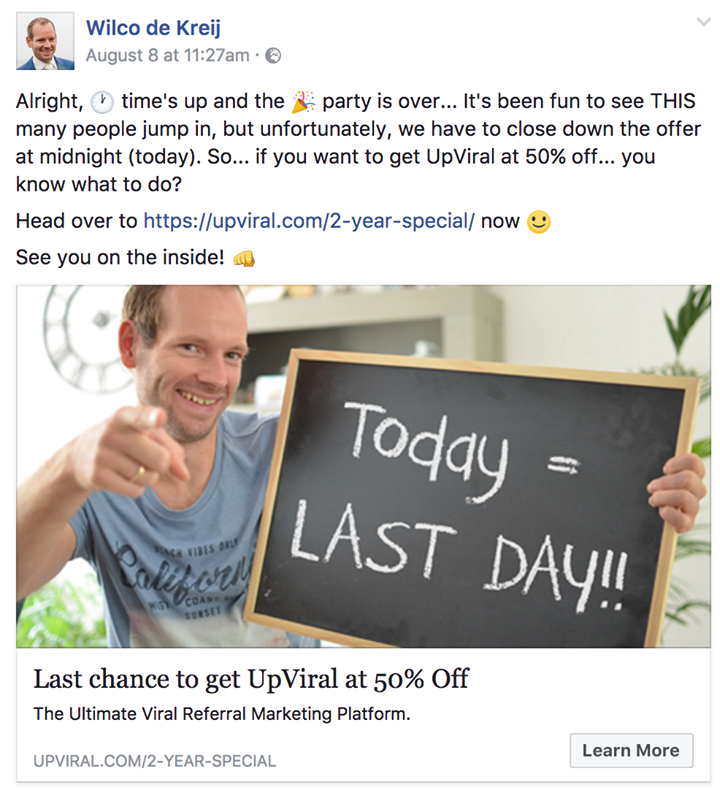 Last week, it was the 2-year anniversary of UpViral… which I almost forgot 😮 Little did I know that it would end up doing an extra $51,495 in sales just a few days later. Since this promotion only took me a few hours AND it’s easy to implement, I figured to write up this case-study as a “behind the scenes” to inspire others to run similar promotions in their business. Note: I *very much* dislike sharing revenue numbers out in the open… but I realize it’s an effective way to show the effectiveness of a certain strategy. Got your attention, didn’t it? 😉 However, please understand that revenue and profits are NOT the same. Besides obvious expenses such as affiliate commissions and Facebook Ads, we’ve got a team of people (developers, support, HR, marketing, legal, etc) which adds up as well. Just over 2 years ago, my team and I launched UpViral into the world. It was the first and only viral referral marketing platform that can be integrated into any tool or website. Inspired by Dropbox’s viral success, it allows everyone to easily integrate a viral list building into their business by incentivizing their audience to get their friends to sign up (and share your message all over the internet). Altogether, the launch was “a success”. We made a name for ourselves, got 2,000+ customers in the process AND our customers are getting the results we promised them. Win-win-win. Up to that point, my “superpower” was launching new products into the market. Create something that has demand. Make a lot of noise around it (create a buzz). Enter the market with a bang. It’s a good skill to have… but it’s risky as well. Because it’s SOOOO much easier to “make noise” about a new product (compared to an existing product), I see a lot of entrepreneurs being stuck in this “launch cycle”. They launch a product and milk it for a few months, only to move on to the next product launch. 5. Create sales pages, videos, Facebook Ads, etc. (yada yada yada, there’s actually a LOT more to it… but I figured to keep it short ;-)). Once the initial launch was over, I needed to shift my mindset from being “launch focused” to “evergreen focused”. I simply didn’t want to launch new products anymore (I rather focus on just UpViral & Connectio). Don’t get me wrong, I still believe “launching” is a good strategy to use. It’s definitely the most effective way to generate a lot of buzz & customers in just a few days. However… I don’t think it should be your main strategy. It’s something to leverage on the side. It’s bonus. “So what SHOULD be your main strategy”, you ask? Rule of thumb #1: Focus on things that you can use as long-term assets for your business. Don’t throw away your hard work. My rule of thumb is that 80% of my time, I should work on things that will still have an impact on my business 2 years from now. When I write email promotions, I turn them into email automations. When I create content, I focus on strategies that are not time-sensitive. When I shoot pre-launch videos, I don’t mention any dates so I can easily turn them into evergreen video sequences. This way, my hard work won’t be in vain. I’ll admit I’m a bit of a freak on this one… I’m desperately trying to prevent repetitive work. Whenever I write something more than twice, I add it into TextExpander. Whenever I explain someone on my team how to do something, I turn it into a SOP (standard operating procedure) so it never needs to be explained again. Anything that can be automated (for example using Zapier), I automate it right away. It’s not just a big time-saver, it’s also an important aspect of the $51k promotion I’m revealing below. Whenever I can, I try to leverage my work in various ways. For example, I’m using the video below as a video ad, I posted it on my Facebook Page, published it on my podcast and it’s part of my indoctrination email sequence. All that from one video. For example, the video above was created for 4 different purposes. I’d LOVE to dive into all the strategies we’ve implemented since that time… but that would be the equivalent of writing a book (or 3, lol). … which is roughly the same as we’re getting now. Every… Single… Month. In June 2017 we got 67,327 unique visitors, for example. What do you when you’re good at product launches but you don’t want to launch new products? 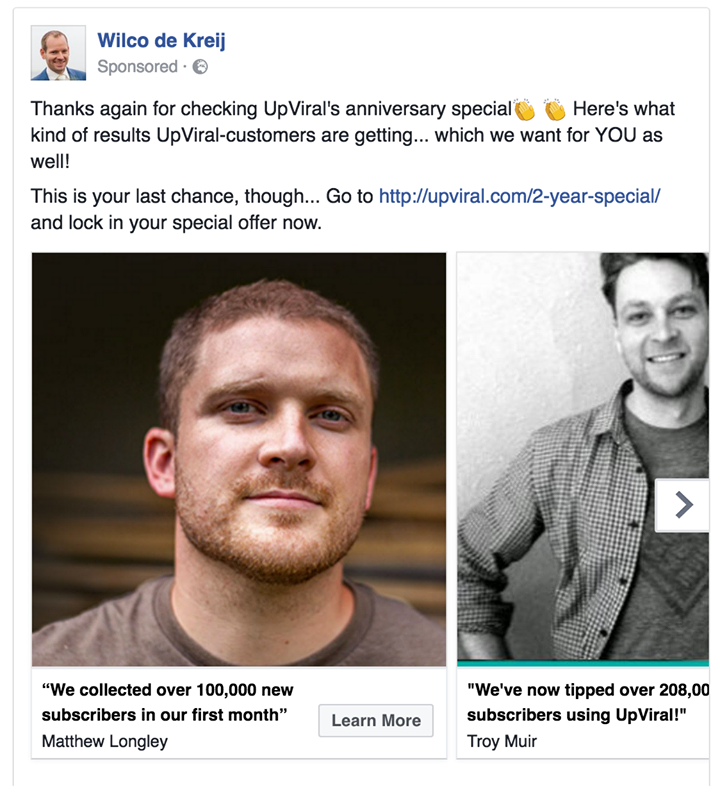 As mentioned, it was UpViral’s 2-year anniversary last week! Perfect reason for a mini-launch event, right? However… I didn’t realize it was coming up until 3 days in advance 😮 Yikes! One of those days was a weekend (and I typically don’t work on weekends) while the remaining two days were fully packed… leaving me only a couple of hours to work on a promotion / mini-launch. (Oh my gosh, what a clickbait sentence haha – just having fun ;-)). Here’s the situation. 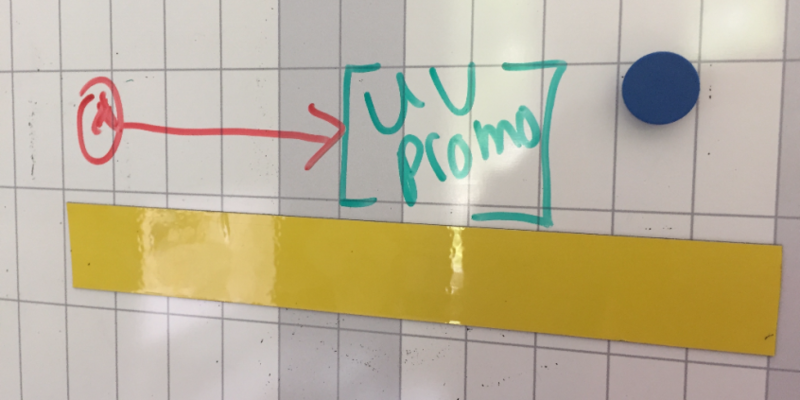 I had only a few hours to map out a promotion from A to Z and still wanted maximum sales numbers… so what did I do? I focused on the things that would have the biggest impact. You’ll find the step-by-step list below. This one happened long before the promotion, but it’s important to point out. I could never have created a sales copy, record a sales video, put together the pages and all of these things in a matter of hours. For example, the sales page we used was largely created 2 years ago. Only had to make a couple of changes (see below) and it was good to go! 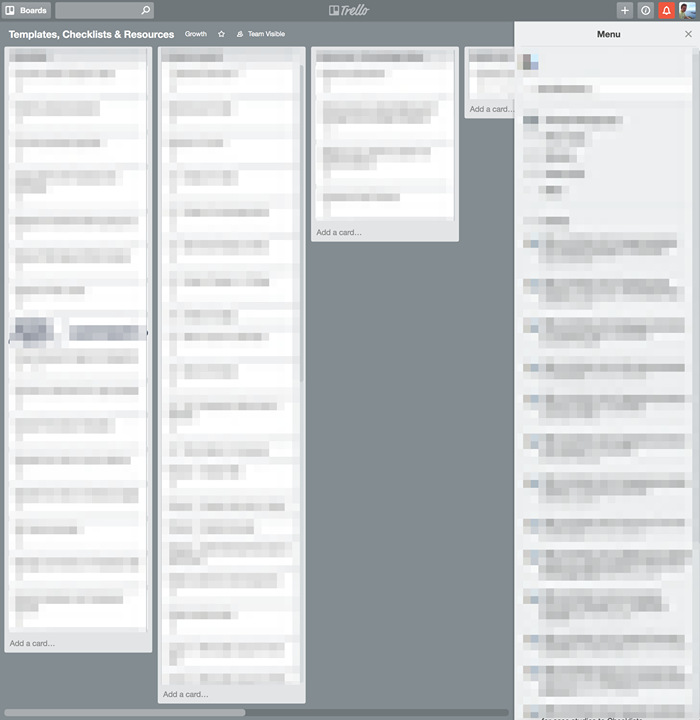 My Trello board where I store a lot of templates & assets. This is something I didn’t do… but should have. I highly recommend making a list of all potential celebrations and/or promotions in order to map out all promotions in advance. It’s anniversary, a special occasion, new features being added, Black Friday, etc. Next, you’re going to pick some of these occasions to run a special promotion for your product or service. You could add a discount, add bonuses, or both. Next is the timeline. How long will you run each promotion? I went for a 3-day promotion, as I believe it works best for a “mini-launch” like this. One day is simply too short (not everyone is online every day), but you also don’t want to drag it on for a week. Before doing any sending any kind of “pitch” into the world, I like to ‘set the stage’ by sending out value first. Enforce the relationship. This could be an epic blog post, video, case study, etc… as long as it’s being perceived as value. Unfortunately… I didn’t have time to create good content on short notice so I went for an alternative route. A few days prior we had released 10 new features to UpViral which I summarized in the video below. The video has nothing “salesy”, pitchy or anything like that – all it’s doing is showing the 10 latest features we’ve added to the platform. I decided to leverage this video prior to the promotion. Make people aware of UpViral (most people don’t buy after seeing something once). Gets the point across that we’re constantly updating the platform (it’s getting better and better over time). Makes them more receptive to the upcoming promotion. Once I realized I was going to run a promotion, I sent it out to all my email subscribers (I already sent it to part of my list before). 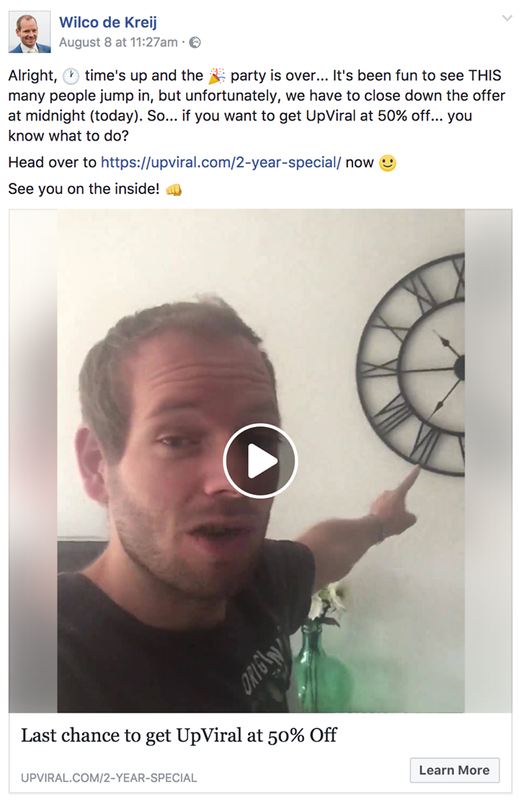 I also spent €100.55 on Facebook Ads to show this video to those who visited upviral.com over the last 180 days. Stats of the video ad after spending €100.55. An offer needs a sales page, but when you lack time to create one… you have to be creative. As you can tell, it's time to celebrate because today is a special day. 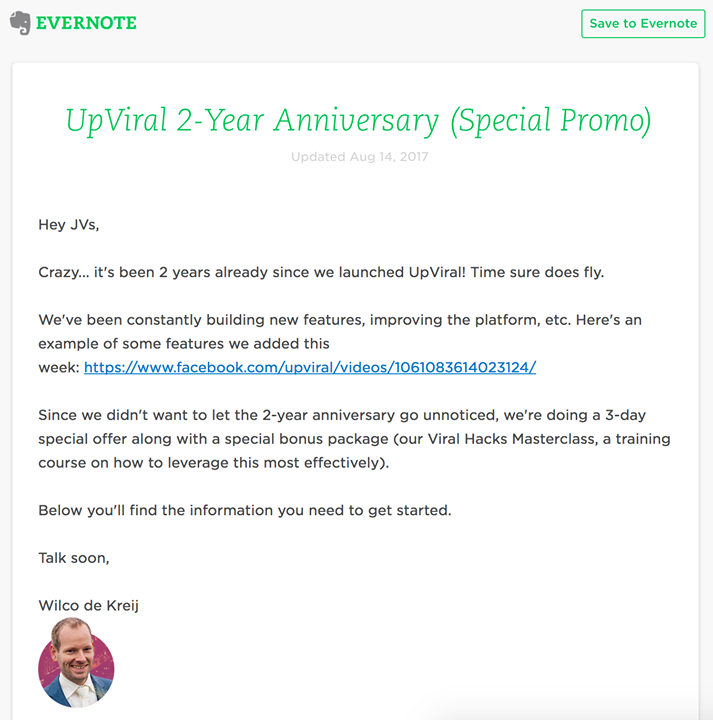 It's the 2-year anniversary of UpViral and I couldn't be more excited. 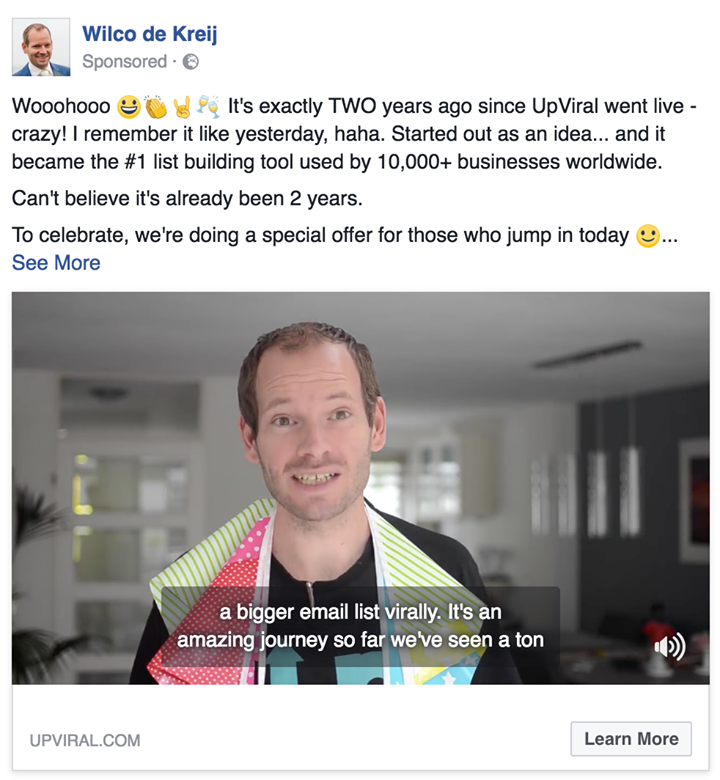 Just in case we haven't met before, my name is Wilco de Kreij and I'm the founder of UpViral. And 2 years ago, my team and I went on a mission to create the ultimate list building platform lleveraging viral marketing, and it's safe to say we've succeeded. It's been an amazing journey so far. The team has grown from just a few people to a team of 20. And I just checked the latest stats, and we've already generated over 37 million visitors for our customers straight into their lead capture pages, resulting in well over 7 million leads collected - all by getting other people to promote your site for you. Obviously, we want to help more businesses around the world to build a bigger email list AND we didn't want to let our anniversary pass unnoticed, which is why we're doing a massive special anniversary offer for a couple days only. This means that you can get access to UpViral Pro at almost 50% off. If you go to our main page, you'll see that the regular price is $49/month which equals close to $600 year, but if you get in today you'll get it for only $297/year. On top of that, I've decided to add a major bonus package as well, because you'll even get our Viral Hacks Masterclass. It's a course that we usually sell seperately, but you'll get it added into your account for free as well if you get access today. With that having said, let me show you our "regular" video to give you a good idea of what UpViral is all about. Thanks for watching and I'm looking forward seeing you on the inside! Whenever I do a launch, I try to invite affiliates at least 2 months ahead of time. Why? Because they got their promotion schedule of their own which means last minute announcements usually don’t cut it. This time was – once again – different. No heads up, no “buzz”, not even a fancy looking affiliate page. I quickly put together an Evernote doc (see below) and sent that to affiliates who promoted my product in the past. Due to the late notice, only a couple affiliates were able to promote. Altogether they generated $15,542 in sales during the promotion. Once the promotion is live, it’s time to get the word out to your email list. In order to save time, I wrote & scheduled all emails in advance so I could ‘check’ this off my todo-list. On a 3-day promotion, I usually follow the same formula. As you’ll notice, I start with a story and the WHY of the promotion. On day 2 I usually include one or multiple images with social proof (e.g. a Facebook comment, email I received, etc), and 3 day is always super short. It’s a formula that works every. single. time. Not everyone opens their email OR is on my email list for that matter… so obviously I had to run Facebook Ads to get the word out. Targeted everyone who visited our “pricing” page over the last 180 days. Targeted everyone who watched 3 seconds or more of the video mentioned in step 4. Once people visited the sales page of the special offer but didn’t purchase, I ran the most effective retargeting ad you can run. It’s what I call the “social proof carousel”. The last day is the most important day of the promotion. If you did your job well, people will understand the value of your product… which doesn’t mean they’ve bought it. By running a time-limited special offer, you’ll “force” them to make a decision, because the next day the special offer will be gone. 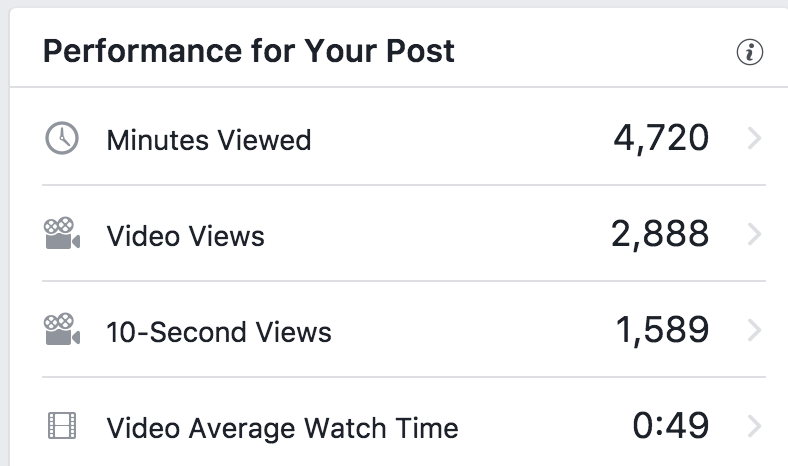 For that reason, I always create a set of Facebook Ads to remind people it’s the last day which usually gets the highest ROI across the board. This time… I even recorded my screen WHILE I was setting up these ads (so you can see exactly what I’m doing). Video ad to remind people it’s the last day. Uploaded them to Facebook somewhere in the afternoon, and for whatever reason it took them quite a while to get approved… which means they were running for 1 hour before they were shut off again. Video ads: I mostly use video ads because they’re cheap, effective… and I find them easiest to create (I often just press record on my iPhone and upload without editing). Conversational tone: Instead of being overly salesy, I try to use my own “voice” in the ads. Using my own name: I’m often using my own name instead of running the ads from UpViral. Seems to convert better. Subtitles: I add subtitles to my videos. Many people watch videos muted. Emoticons: I use emoticons to grab the attention. Altogether I spent €187.20 (= ± $220 USD) on Facebook Ads, which resulted in $5,346 in revenue (a healthy 2,330% ROI). It goes without saying, but closing your offer is just as important as opening it up. By making your offer time sensitive, you’ll push people to make a decision during your promotion (instead of delaying their decision and eventually forget about it). Altogether I spent roughly 7 hours setting up this promotion from A to Z. 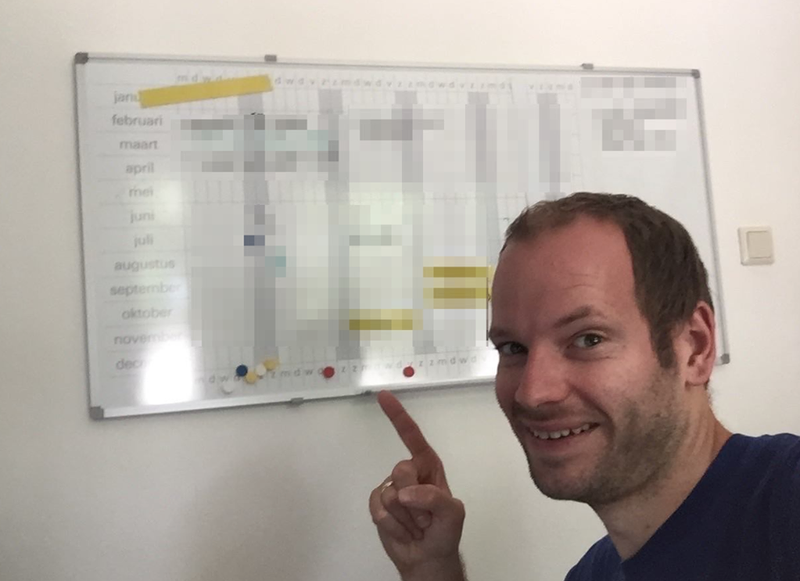 No, not “kinda working”… HARD WORK! Nothing comes easy. Keep it LEAN (usually, I try to do things “perfect” which takes a lot more time). 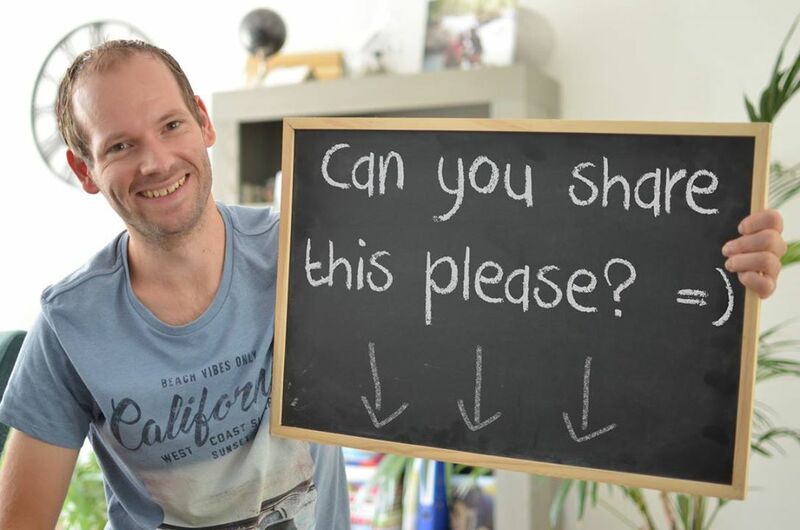 I’d be SO SO grateful if you’d share this article. Would motivate me to do more write-ups like this one!